Home and business owners in southern California rarely have to worry about heavy rain storms creating water damage in their property, but there are other ways water can invade and cause costly leak and flood damage. In Inland Empire water is most likely to invade your commercial or residential property through internal means, such as through your washing machine, dishwasher, ice machine, toilet and plumbing system. 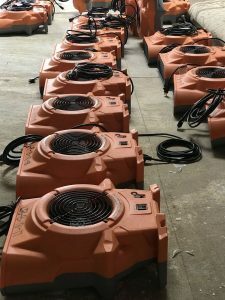 If any of these issues occur in your property taking action quickly is key to facilitating a successful water damage cleanup. In order to provide our customers with speedy service, we keep repair workers available 24/7/365 to assist you the moment you find yourself ankle deep in an emergency flooding situation. 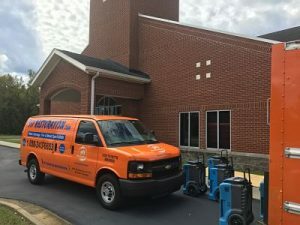 In order to limit the severity of the water damage, we guarantee to get technicians to your home or business within 45 minutes of receiving your call, fully equipped to begin same day services. 911 Restoration of Inland Empire has been a leader in the restoration industry for quite some time, and through all of our experience we have seen first hand just how powerful of an element water can be. 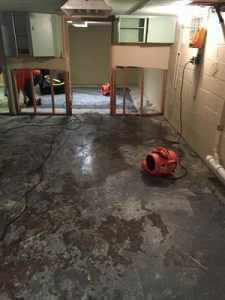 So, call our water damage restoration Inland Empire professionals when you need quick and efficient remediation services and we will provide you with a free visual property inspection as soon as we arrive on the scene. With Inland Empire at the tail end of a drought, instances of rainfall have been far and few between. However, this doesn’t mean that homes and business in the area are safe from experiencing issues that may lead to water damage. As common as these issues can pop up, they can just as easily be prevented with the proper maintenance. Remember, even the most attentive property owner can still encounter water damage in their drywall or underneath the sink from time to time, which is where we come into play. Call 911 Restoration when you begin to notice any signs of invasive water in your property and we will work with IICRC certified technicians to thoroughly repair the leak and flood damage. As much as 911 Restoration of Inland Empire wants to assist you by implementing schematic water damage repairs, we also want to help you prevent leaks and floods from happening all together. By staying on top of minor problems in your property as soon as you notice them you can save yourself a lot of time and money paying for emergency water damage restoration efforts. Check your water-based appliances regularly. Even small pinholes in a washing machine hose can quickly expand into a large tear that can cause a rupture. By replacing these hoses as they become worn down you can prevent the need for an emergency cleanup for water flooding. Inspect pipes under the sink for leaks and fix them as soon as they are discovered. Minor dripping can cause significant water damage over time, as well as create a mold infestation. Monitor the water pressure in your home or building to make sure it does not get too high. If the pressure becomes too great it can cause pipes and hoses to fail. Install a water pressure gauge to test the faucets on the property. Sometimes it is harder to see the leaks that may be occurring, especially if you own an apartment complex or multi-unit property. Checking your water bill has been proven to be a successful way to detect leaks. If you see a major increase in your bill from one month to the next it may mean that there is a constant leak somewhere going unnoticed. If you have any questions about leak and flood prevention or if you have water damage on your property that needs to be remediated, you can call our water damage restoration Inland Empire representatives today.